From his new facility in Los Angeles, which looks more like a science lab than a cannabis company, Patrick Griffith is sharing what insiders agree is one of the marijuana industry’s dirty secrets. Like most states that came before it, California will require pot products to be tested for purity and potency when recreational marijuana use becomes legal in less than two months. And that's where Griffith’s secret comes in: he says he can get some labs to give him more favorable results. Industry insiders say lab fraud is an ongoing problem in states that already have recreational weed markets, and some warn it’s happening in California as growers and sellers search for testing companies that will give them the most favorable results. On Thursday, state regulators released the final set of rules governing California’s pot industry. The regulations mandate that labs show they have the proper equipment, expertise and quality controls to accurately test pot products. But labs can’t all come into compliance with those rules overnight, and some in the industry say bad actors will still cheat unless the state comes up with a robust enforcement plan, which regulators say they expect to have finalized by January. What consumers pay for cannabis is, in part, determined by the percentage of THC in the product. That’s the compound that gets you high. Griffith, the founder of XO Cannabis, sells the potent marijuana extract he produces all over the country. He says many labs are willing to inflate the potency of his product to keep his business. It’s part of the industry that bothers Griffith, but he says he has to play the game to level the playing field against competitors who routinely boast of improbably high THC numbers on their products. He’s speaking out now, hoping California will crack down on bad labs so consumers can have confidence in what they’re buying, and sellers trying to mask an inferior product with inflated numbers won’t be able to compete against companies doing things the right way. Griffith has seen it happen in states like Washington and Oregon, but he said it’s already happening right here in California. That kind of fraud, he said, will harm the integrity of a cannabis industry that’s just now stepping out of the shadows. 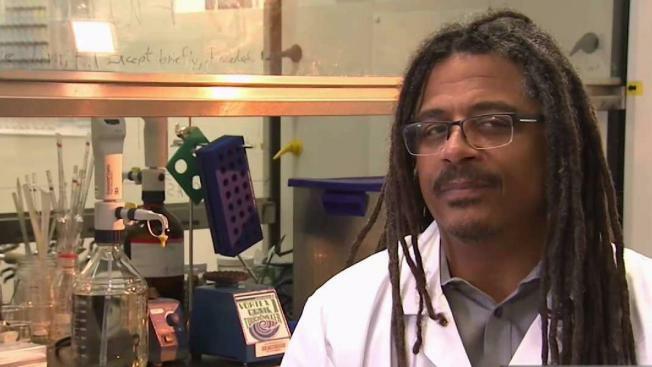 Dr. Donald Land and Dr. Reggie Gaudino are two of the scientists in charge of running Berkeley’s Steep Hill Labs, one of the nation’s largest testing companies. They say the company, with labs in six states, is routinely approached by customers trying to boost potency numbers. “In almost every state we operate in we have someone approach us and say, ‘Hey, what would it take to get these numbers changed? '” Gaudino said. Gaudino says he tells those customers to find another lab. And in many cases, they do. Steep Hill says they nearly pulled the plug on their lab in Washington state because competitors willing to fudge the numbers were grabbing so much business. “There is a huge financial incentive to give growers what they want to hear,” Gaudino said. 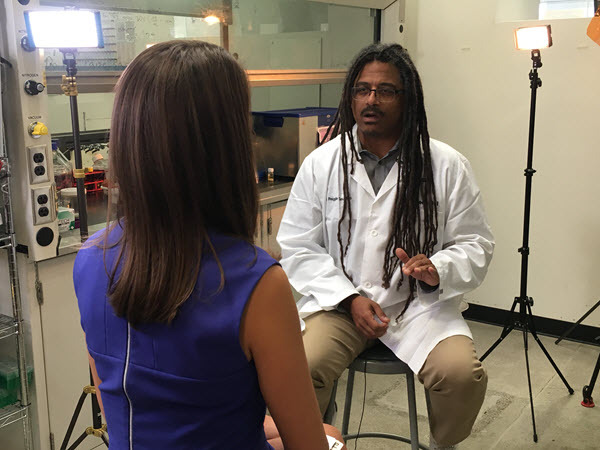 Go behind the scenes with the NBC Bay Area Investigative Unit reporting on marijuana lab testing. A data scientist named Dr. Jim MacRae studied this phenomenon in Washington and found the labs that returned the highest THC numbers did indeed get more business. The state later tightened its oversight and suspended three labs. Two of those labs have since had their certification reinstated. But it’s not just Washington, the Steep Hill scientists say. With buckets of money on the line in California, Land said the same thing is bound to happen here. Fraud isn’t the only reason why labs might be giving out bad test results, though. Steep Hill says it’s spent millions of dollars on equipment so they can produce accurate results. But some labs, Gaudino says, are cutting corners to save money or don’t have scientifically sound procedures in place. 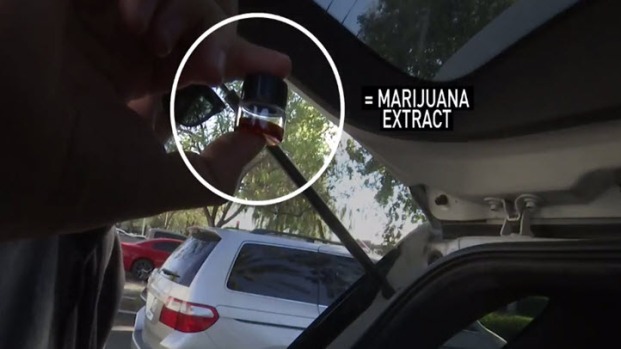 With the help of Griffith and his marijuana extract, NBC Bay Area's Investigative Unit put some of California’s labs to the test to see just how far they have to go before consumers can trust the label on the package accurately describes the product inside. Griffith took a batch of his marijuana extract and divided it up into 20 separate samples. To ensure each sample was uniform, he used a machine to stir the extract before pouring it into individual containers. NBC Bay Area took 10 of the samples, and Griffith kept 10 for himself. On different days, NBC Bay Area and Griffith requested potency tests at labs across the state. The goal was to see how much variation exists from lab to lab. The experiment also aimed to find out if the same lab would produce one set of results for the NBC Bay Area sample and another set for Griffith's sample. All of the samples came from the same batch. Griffith said good labs should return THC percentages within 5 percent of each other. Some variation between labs is normal, given differences in equipment, calibration and testing protocols. 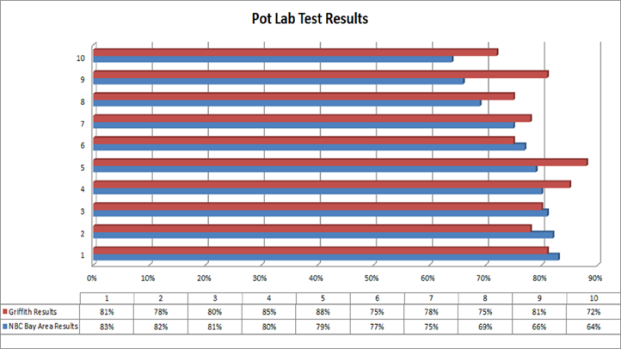 Most labs turned the results around in two or three days. Some did so in just 24 hours. The first result came back with a THC level of 66 percent. The next came back at 80 percent. In the end, NBC Bay Area’s 10 samples came back with THC percentages ranging from 64 to 83 percent, a 19-point spread. It’s an outcome that Gaudino and Griffith predicted before the results came back. When Griffith’s results came back, it was revealed how the same lab tested two samples from the same batch. Some of the results came back relatively close, while others had greater variation. One lab measured Griffith's sample at a THC percentage 23 percent higher than the NBC Bay Area sample. In a written response to NBC Bay Area’s findings, the Bureau of Cannabis Control (BCC) said the results illustrate exactly why the industry is in need of regulation. At Tuesday’s Cannabis Advisory Committee meeting, the first of its kind, bureau Chief Lori Ajax said the agency is aware of the testing lab issues cropping up in other states. Ajax said the bureau will keep a close eye on labs to make sure they’re playing by the rules. In addition to inspections and audits, Ajax said the agency will have its own lab that can be used to independently verify test results if the need arises. They haven’t found a lab to partner with, yet, but Ajax said that will hopefully occur in the next few months. Those in the industry tired of seeing problems with labs say strong oversight of a budding test industry can’t come soon enough.